Jeremy Raymond studied Social and Political Science at Christ’s College Cambridge, specialising in Social Psychology in his final year. After a short career in the classroom and as the operational Deputy Head of a large London secondary school, he joined Mantra, a management development company founded by the psychologist Elizabeth Sidney. 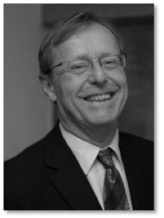 In 1986 he was recruited into the Management Consulting Services division of Coopers and Lybrand (now PWC), where he worked on large scale organisational change projects, including managing the introduction of global procurement for Ford. Jeremy first started working with William Johnson in the early 1990s and worked as part of the transformation team in IBM all over the world, running workshops and designing training programmes, as part of IBM’s move into professional services. In 1996 he became Managing Director of Piper School, a professional services firm start up specialising in management and organisational development in UK retail, which he ran successfully for five years growing the business to a turnover in excess of £1.5m. Since then he has enjoyed a mixture of consulting, working with senior teams (London Business School and IMD in Lausanne as well as in professional services firms), teaching, Executive coaching and writing. Jeremy has written The Life Coach Workbook (published in November 2014) and is currently working on a book on the psychology of buying and selling. He is an associate of PSfPS. In his spare time, Jeremy enjoys spending time with his family and his interests include farming in France, the theatre, gardening, walking and skiing.